We all love the results of Spring cleaning, but it’s also a time of panic, frustration and fatigue. We pour endless amounts of elbow grease into chores like sweeping the deck, patching up the leaky roof, dusting floor boards, and other wonderful household tasks. In fact, if you snoop around your Victoria apartment, condo, or home, you can probably easily overwhelm yourself with the number and diversity of your spring cleaning chores. You might be tempted to just say “I'll get to it next spring!” and let the dust and grime collect for another full year. But what should you prioritize for your spring cleaning in Victoria, BC? You’ve invested a lot of time and energy into beautifying your home with armchairs, loveseats, couches, and the like. 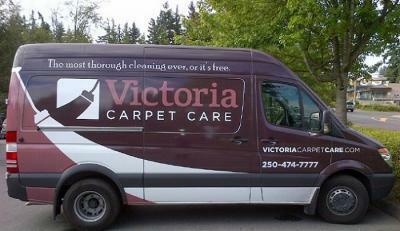 Take time to vacuum and have your upholstery and furniture cleaned. Why? Because doing so will extend the life of your furniture, improve your home air quality and just liven up your space. Carpets can accumulate pet dander, dust, debris, volatile organic compounds, and all sorts of other disgusting gritty grimy stuff. You need to clean your carpets not only to make beautiful your home or apartment but also to get rid of a potentially big source of indoor air pollution. Also, good regular cleanings will increase the life cycle of your carpet, so you will spend less over the long-term.